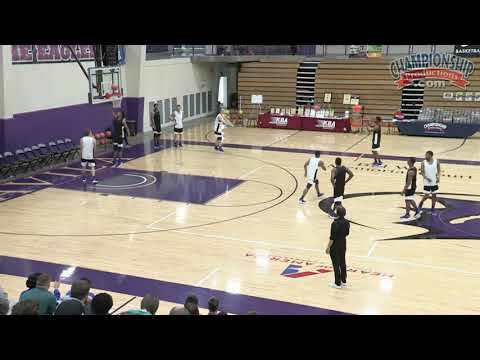 Discover the drills Tara VanDerveer uses to build well-rounded players! Tara VanDerveer is an exceptional coach who has learned the most efficient ways to develop players over the course of a forty-year career. She has worked extensively with USA Basketball to help mold and shape today's players into hard working athletes. In this video, you will learn how Coach VanDerveer has developed championship athletes by working on fundamental skills in fun and competitive practice drills. First, you'll get a few tips that have helped VanDerveer during her own coaching journey. She states that focusing on ball handling is a must for every player and the ability to use either hand is crucial. Additionally, passing is an underrated art in today's game, and players must able to pass and catch without missing a beat. Shooting, according to Coach VanDerveer, starts with layups. She teaches her own players using the acronym BEEF - Balance, Eyes, Elbows, Feet. Finally, teaching defense is done from the stance up. When you put all of these elements together, it creates fundamentally sound players that serve as the backbone for your program. Any good player must be able to handle the ball to some degree. Ball slaps, taps, circles, and figure-8s will help your players develop a feel for the ball and work well as warm-up drills. As players progress to moving with the ball, they can develop solid go-to moves. One of VanDerveer's favorite drills comes from skill development coach Ganon Baker, in which athletes make one-hand passes, make a move, and pass back with one hand. This helps players develop balance using both hands. Coach VanDerveer shows her USA Passing Drill, which combines her motion offense within a passing drill to help players catch on the move and finish around the rim. In 3 Ball Passing, players learn to communicate by passing, catching and calling out names as they move around the paint. Once athletes have built their foundation of passing and catching in the half court, VanDerveer expands and demonstrates her drills to develop full court passing. In 3 Lane Passing, players work on passing, catching, and dribbling in the open court. Beginning with layups, VanDerveer shows how to shoot different types of layups - underhand, overhand, hook shot, and reverse. Players will develop their finishing skills and improve footwork, especially when you add a defender to create a game-like situation. Moving away from the rim, VanDerveer explains how to teach players to make more bank shots and create angles on the floor to get open jump shots. In her Partner Transition Drill, athletes incorporate full court passing and finish with either a layup around the rim or a jumper in the paint. A player isn't complete without a solid foundation on defense. Beginning with a solid stance, players use the Mirror Drill to work on guarding 1v1. Offensive players can also continue to build their finishing moves as they play 1v1 live. In Ricochet Rebounding, your post players will learn to develop their "hit and get" technique as well as finishing with an outlet pass. Every big on your roster must be able to go pursue a rebound and execute a put-back.